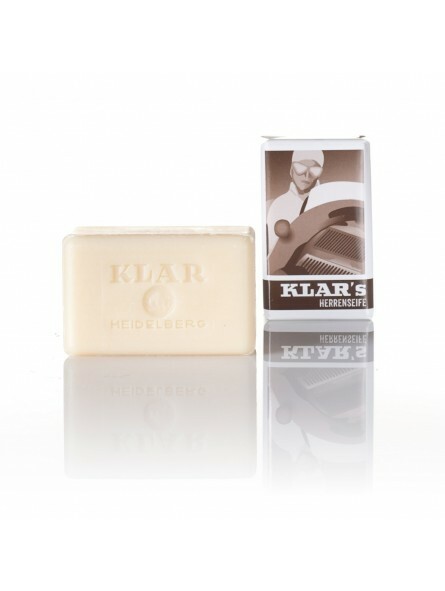 Klar's Gentelmen Soap 100gr. Made of plant oils from organic farming. 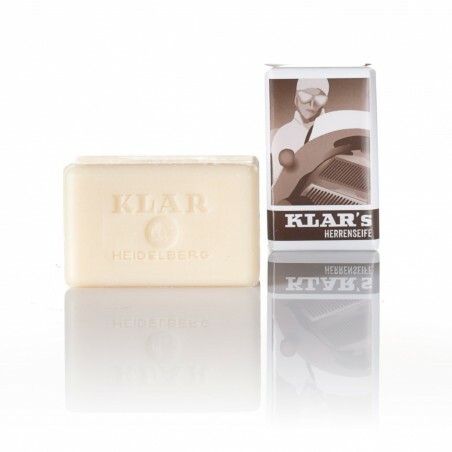 Scented with a leathery sandalwood note. Illustrated with an old Klar advertisement. Without any synthetic preservatives.